Dear Diary, yesterday I wrote that the Moonhowlers live at the Shrine of Pelor. Well, that’s only half true. Yes, we had been using the Shrine as our super secret base of operations for the past year, or so. And yes, we still kept our treasure stash and our mascot (Ixi) there. And, yes, some of us, as in Braeden, Listens To Wind and Karina actually slept there. But, I failed to mention that in recent weeks Kenric had taken up residence at his apartment at the Blue Crater Academy and I had been living down in the Malachite Hold. Gerran had shacked up at the Lucky Monkey Inn, which was about a day’s ride out of town, and McCreedy, well…no one really knew where Gramps spent his evening hours. And personally, I really didn’t want to know, either. On this morning Kenric woke up early. The apartment he shared with Narvaria, his wizard-in-training roommate, was very small and spartan. It was barely seven foot on a wall and housed two cots, two trunks and a shared wash basin. This was not living in style. Kenric could spend his nights in the room at his parents lavish house above the jewelry shop on Magma Avenue, or he could stay at the Shrine of Pelor with Braedon or LTW, or he could ask me for a spacious cubby down in the Hold, or he could even afford to rent just about any place in Cauldron that he wanted. But Kenric had his mind set and the Academy was where he planned to make a name for himself, so the Academy was where he slept – no matter how itty-bitty was his living space. After a quick breakfast of toast and eggs in the Academy cafeteria, he set to work finishing the last of the invitations he had carefully scribed with quill, ink and parchment. The invitations had been elegantly embossed and he was quite proud of his handiwork, and today he would give the whole pile of them to the Cauldron Couriers to be delivered. As noontime approached, Kenric thumbed through his pile of invites, reading each name as he went. He saw the names of Celeste, Sasha, each one of the Seekers as well as each one of the Moonhowlers, Justin, Sir Alec Trecival and Jenya. Together they made quite a stack of letters, but if he were to succeed at the dangerous mission that lay ahead of him these people were going to have to help him. He wouldn’t be doing this at all if it weren’t for the Arch Chancellor and his court of wizards who had assigned him the task. In a few days time he had a report due to the Chancellor, a report detailing and assessing the threat of a magical portal he had discovered while sneaking around in a place that was off-limits. He had been caught in the wrong place at the wrong time and this was the only way he knew to make amends. Kenric also knew he was probably getting off easy. Kenric looked at the water clock in the hall outside the Library of Universality and realized he didn’t have much time before the courier arrived so he grabbed his stack of invitations and hustled down to the Academy front doors. There he found a few of the younger wizards sorting through a stack of mail that the courier had just dropped off. He ran outside the doors and found the retreating delivery boy on his way back down the stairs and heading toward a full hand cart parked by the side of the road. “Wait!” he shouted at the back of the brown-skinned boy. The young courier grumbled just a bit as he took the pile of letters from Kenric but perked up a little after a shiny silver coin was placed in his hand. Kenric smiled as he watched the boy tuck his letters into the cart and then push the wooden thing down the road. As he re-entered the massive Academy, one of the young wizards looked up at him from amid the pile of newly deposited letter. Kenric looked down to see the wizard handing him a small package wrapped in green palm fronds and tied with raw hemp string. A bit of parchment was tucked under the strings and the words “Kenric Belios, Bluecrater Academy” was written on it with neat, but cramped handwriting. Odd, thought Kenric. He and the others had received similar packages in the past, but they had never figured out where they came from or who was sending them. So far, the packages just contained small items, gifts perhaps, and none of them seemed to be harmful, but it never hurt to be too careful. Kenric put away the plan he had for spending the rest of the day in the library, gathered his things, stuck the mysterious package under his arm and headed out into the bright morning sunlight. Within a few minutes he found himself at the Shrine of Pelor. Kenric found Karina, his newest teammate, inside with Kristoff Jorgeson, High Priest of Pelor in Cauldron. Kristoff was working on a sermon behind his small pulpit while Karina sat at one of the pews staring at three more suspiciously similar looking packages wrapped in green palm fronds and laying out on a wooden pew bench in front of her. One had been addressed to Karina, one to Listens To Wind and the other to Braeden. All of the addresses on these packages were listed as “Shrine of Pelor”. Karina agreed and then her eyes lost their immediate focus and she began to hum softly to herself. Kenric had seen his purple-skinned companion do this trick several times in the past. Probing the area for traces of magic was a fairly simple spell. Kenric could do it in his sleep. But for Kenric it actually took some bit of effort, albeit a very small bit of effort. The spell seemed to tax Karina not at all. The act of casting the spell seemed so natural to her that Kenric was sure the winsome tiefling could probably cast that same spell all day long without rest and would find herself none the more tired for the effort. He shook his head and grinned to himself, silently wishing he could possess some of that innate ability. Karina spent about a minute in contemplation and then she held up six slender pink fingers and looked at Kenric with more than a little wonder in her eyes. Wow, thought Kendric. Four packages containing six separate sources of magic. A few moments later Karina was able to determine that none of the magic was very powerful in strength and that each of the sources originated from various schools of magic. Kenric and Karina talked briefly about finding McCreedy to inspect the packages further, but then Kenric came up with an idea. The pair carefully set all four packages on one side of the chapel and then they moved to the opposite side and took cover behind one of the long pews. Kristoff looked up from his writing in time to figure out that something bad might be about to happen. The young priest started to protest, but then he closed his mouth, said a silent prayer to the Sun god and then sunk down behind the pulpit and waited. Kenric grinned again as he moved his hands and fingers in an intricate pattern in the air and mumbled the words of power that trickled from his lips, “Incarnum digitis”. Only Kenric could see the mystical, ghostly hand that materialized right in front of his face. With his left hand, Kenric made shoving motions which seemed to push the spectral limb away from him and it floated across the room toward the packages. With his right, Kenric made the motions of gently plucking and pulling at strings and packaging. Karina was delighted to watch her mentor at work. This was a spell she did not know and it exhilarated her to watch the magic unfold. They were nearly fifty feet away from the packages on the far side of the room and yet she could see the strings that tied each one of them slowly come undone. She could tell that the movements Kenric made with his hands was manipulating the magic forces that he had sent to the packages and that he was now using magic to open them! At this distance, they should be fairly safe should any dangerous surprises be lurking inside. Soon all of the packages lay open and their contents spilled out on the floor. No explosions had occurred, no bursts of foul magic or poisonous clouds had arisen from inside, so Karina and Kenric were fairly sure the packages were in and of themselves, harmless. Now they had to determine if the contents held any dangers. The packages contained an odd assortment of valuables. Kenric’s held an ornately carved tube of ivory and silver, something you would typically store a valuable magical scroll in. From a distance Kenric used his magical hand spell to gently pry off the cap at the end of the tube and extract a sheet of fine vellum from within. With his left hand, Kenric bade the magic he commanded to float the page over to him so he could get a better look at it. Immediately, Kenric saw through the crystal as the runes of power on the page of soft skin rearranged themselves to form words and symbols that he recognized. The writing was another spell but captured on paper! All he would have to do is to read the deciphered runes out loud in order to unleash the magical forces trapped upon the page and the magic would take shape. Kenric recognized the spell as a simple one, but also one that he did not have in his collection! It was a figment spell that could produce illusionary copies of the caster. Once formed, the copies would cluster around the caster and copy his movements, much like multiple reflections in a mirror’s surface. The spell was handy if you ever needed to fool anyone watching you with a little misdirection. Kenric decided he would have to spend some time in the future copying this little gem into one of his permanent spell books. Braedon’s gift also had a scroll tube made of ivory inside it while Karina and Listens To Wind’s packages each contained two small ceramic vials with wax coated cork stoppers. 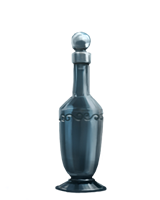 A stylized “W” was stamped on the bottom of each vial indicating they were magical or alchemical potions purchased from Votimax Weer’ shop in town. I found out later that McCreedy had received a palm-frond-wrapped package, as well. This one had been delivered to his house complete with a parchment label that said, “Gramps” on it. He was a little unsure about it at first, but he performed a thorough investigation on it, looking for signs of a trap or some other danger before tearing into the present. Inside he found two more vials apparently purchased from Weer’s. It was well after the noon hour when my package arrived down in the Malachite Hold. This one was delivered by a tiny, breathless gnome who had the job of sorting the mail up above in Jzadirune. The package was terribly heavy and the red-faced, sweaty gnome stuck around for a mug of cool, watered-down mead before heading back up to the gnome-city. I didn’t bother to check for magic or traps. I just opened it. Inside was a marvelous find. A solid brick of shiny metal stared back up at me from its torn frond wrappings. A block of pure mithral. Oh my. The rare metal was cherished by smiths from all over the Flanaess and someone had mysteriously just sent one my way. Well, no sense trying to figure out who had sent it as I had no clue. Why would I want to question a gift elephant anyway? Hmmm…the things I could do with this metal. A few seasons ago I had been sent another mysterious package wrapped in palm fronds. That time it was a roll of beautifully tanned hide taken from a rare beast known as a bulette. I had already decided I would use the hide to cover the haft on my masterwork hammer. I realized I could use this gift too! It suddenly struck me that I could use the mithral to reinforce the steel head of the weapon. It was certainly my lucky day. That afternoon Karina decided she would take a few hours to stroll through the streets of Cauldron. She was curious about the city and especially she wanted to see how the people had survived the flood, now that the waters had receded. It was still raining as she left the shrine and wandered down Magma Avenue and then cut down slope toward Ash and the shores of Cauldron Lake. She noticed that the poor people who lived down on the lake’s edge were all so very busy as they cleaned mud and algae off now exposed wooden storefronts and homes. Several were hammering and sawing with crude tools as they sought to repair broken or warped wooden boards destroyed during the season of floods. The hundreds of wooden docks and piers looked so odd suspended in the air as they were. Normally these structures jutted out into the water and sat just a few feet off the water’s surface. But last night’s usage of the water wands by the various priests of Cauldron had lowered the lake to such a degree that these structures now sat high and dry, ten feet above the muddy lake bed in places. Karina saw that several townsfolk were selling goods and foodstuffs from makeshift stalls or even from open doors and windows. They shouted at her as she passed, hoping to hawk their wares to any passerby – even to a slim, purple-skinned girl with tiny horns protruding from her forehead. Karina felt the jingle of coin in her pockets and considered making a purchase or two but she decided she wasn’t sure about the legality of the stuff, so she just passed it by. She smiled, though, at the cheerful nature of these hard-working, if not miserably poor, Cauldronites. They seemed to be nice, and that was something she took notice of. A few times she stopped to look more closely at the goods for sale or to talk to the various merchants. “You seem nice. Go to the Church of Pelor. They feed people there if you are hungry,” she would tell them. Sometimes she got odd looks back at her when she said things like this, but other times the people would smile and pat her hand or shoulder. Nice people. Just as she rounded a corner between a fishmonger’s shack and a scrimshaw dealer, a tall, slender and pale young woman with wispy-white hair jumped out in front of her. “Now you die, demon!” she yelled and fired a largish wooden crossbow straight at Karina’s heart. The bolt misses, soared past her left shoulder and thunked into the wooden wall of the scrimshaw shack behind her. The woman looked shocked and then a little upset. “Darn!” she muttered to herself and began to reload her weapon with a sharp-pointed steel bolt hastily grabbed from a burlap sack tied to her belt . Karina reacted without even thinking and harnessed the magical energies that always seemed to swirl around her very being. She held out her hands to the woman in an attempt to get the woman to stop loading her crossbow and the magic at her command reacted to her calling. Suddenly, the ground at the pale woman’s feet erupted in a shower of mud and stone. The earth itself seemed to rise up and take shape, resembling a massive hand protruding about four feet out from the ground – much like the hand Kenric had produced earlier in the morning, except this one was much bigger, much badder and, from the shocked looks coming from the townsfolk all around her, much more visible! It was as if the earth itself came to defend her. The hand seemed to make a deep rumbling sound as its “fingers” opened wide, mud and stones dripping from the earthen construct. And then it suddenly reached out and grabbed the pale woman, engulfing her completely in its soily grasp. A moment of silence fell upon the lakeside scene. Townsfolk stopped what they were doing and stared, slackjawed, at the strange demon-girl and giant hand she seemed to be commanding. No one moved. Well, maybe someone twitched a bit, but that was all of the moving that was being done at that moment. Then, the hand rumbled and groaned and the fingers slowly loosened their grip on the hapless pale girl with the crossbow. For a moment, she stood there, covered in mud; her once wispy-white hair now matted with filth and mud. Then, her body crumpled and fell to the ground. The earthen hand seemed to sigh once and then melted back into the lakebed from which it formed. Karina ran over to the still form of the woman on the ground. She anxiously checked her over as the townspeople slowly overcame their shock and fear, enboldened by their numbers, and closed in on the scene. The white-haried girl was still breathing and Karina let out a sigh of relief. 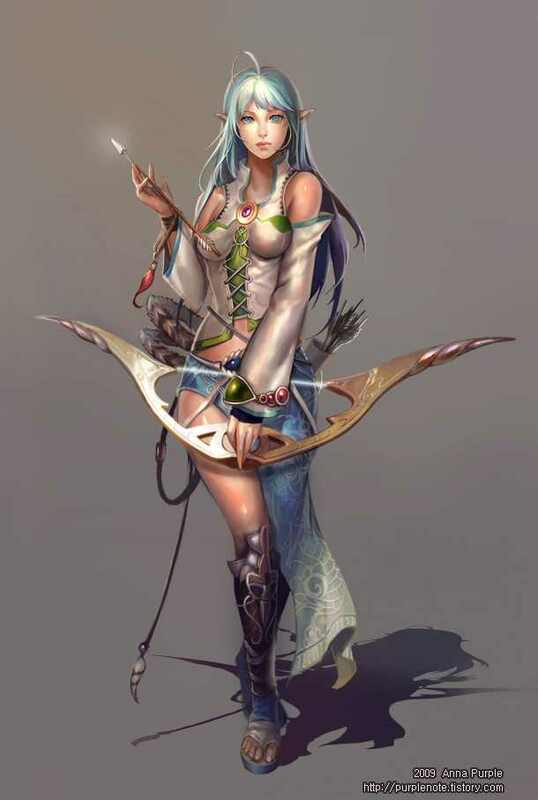 Quickly, Karina took out of her hip pouch one of the red sashes she had confiscated from the Ebon Triad prisoners a few days earlier and set about tying the crossbow shooter’s hands and feet. Karina looked around at the crowd that had formed all around her and she reached into her pouch again. This time she took out a handful of copper and silver coins and held them up to the people. A grimy looking man, probably a dockworker, suddenly reached out and grabbed the money from her hands and then made a grab for her hip pouch, as well. Karina recoiled in shock and the man ended up missing, grabbing a handful of air, instead. Once again Karina acted without thought and harnessed the invisible arcane energies swirling about her. The earth rumbled once and then exploded again as a hand of dirt and muck burst from the ground to grab hold of the thieving dockworker. Karina screamed in anger and frustration at the crowd as the man held in a fist of earth was thrown back and forth like a toddler besieging a rag doll. Moments of pure pandemonium then followed as townspeople scrambled to get out of the way of the pink and purple demon-girl and her wild magic. Some townspeople started shouting at others and some began pushing and shoving. Suddenly, a calm settled over the crowd. Many looked ashamed and still others scolded some in the crowd for not recognizing one of the Moonhowlers. Karina looked down and saw that her hand was clenched tightly into a fist. Karina held her clenched fist up in the air and stared down the mob. Then she opened her hand and the giant muddy fist opened up too, releasing the poor man who fell to his knees, a look of pure terror played across his face. There was a moment of silence. No one moved. A few looked frightened at Karina while many others just looked upset and stared disapprovingly at the man on the ground. Then the man jumped to his feet and ran pell-mell down the muddy lakeshore, ducking under a wooden pier before disappearing behind a fleet of grounded fishing boats lying atilt upon their sides. All but five of the crowd eventually turned away and walked back to their shops, docks or homes, some of them still chuckling. But the five that stuck around were so ashamed of the behavior of their neighbors that they offered to help Karina move the crossbow-wielding young lady somewhere safe and out of the muck. A few minutes later Karina and five of the lakeshore residents had carefully picked up the unconscious form of the mysterious lady and brought her and her crossbow to the Shrine of Pelor. As they set her inert form upon a wooden pew inside the building, Karina tried to pay each of them with a golden Cauldron. Karina thanked them each profusely for their kindness and promised she would take good care of her attacker. The five told Karina she was welcome down at the docks at anytime and that she would be safe the next time she wandered down there. Karina thanked them again and then invited them to the Meet The Moonhowlers II party that they were planning in a couple of weeks time. Then they left her alone with the unconscious woman and Padre Kristoff, who was now polishing a number of bronze sculptures of stylized suns that hung on the walls of the shrine. Then, the young priest turned and coldly walked away, leaving Karina to deal with the woman on the bench. Braeden spent most of the morning in his apartments. A few seasons ago he had helped set up a city-wide party which he had named, Meet The Moonhowlers. It had been held at the Shrine of Pelor, and not only did it help get the people of Cauldron to know and accept their little adventuring party as a reliable and dependable group who had pledged to protect the city, but it had also benefited the Shrine of Pelor, too. Before the party, Pelor was seeing the same thirty, or so, elderly patrons show up for services each week. After the party the number of patrons jumped to about eighty – and they weren’t all from the ancients-who-fart-dust crowd, either. Braedon was convinced another party was going to be a good idea, and this time they had the funds to do the event up right. He had worked on securing The Lakeside Pavillion for the event and on getting The Harpies to provide musical entertainment. He figured that one of the premier events of the evening would be to raffle off the membership to the Bluecrater Academy he had won at the Flood Festival. His guest list had expanded, too. Now if he could just find someone to cater the thing he would be all set. For no particular reason at all, his mind suddenly wandered and he thought of Triel Eldurast, the leader of the Ebon Triad in Cauldron and he wondered how she was faring, sitting in her cell under Town Hall. He thought of all the trouble she had caused, the murder of the High Priest of St. Cuthbert and all the mayhem she and her group would have committed had not the Moonhowlers got to them first. He thought back to the stories of how she had mysteriously escaped the prison years ago. The supposedly inescapable prison . . .
Braedon suddenly leaped to his feet and all but ran out the door of his apartment and through the entry of the Shrine of Pelor. He told himself he was being unreasonable as he made his way through the packed city streets toward Town Hall. But he just couldn’t shake the worry. What if she knew something no one else did? Perhaps she knew a secret about getting free of the iron bar cells and past the guards. Braedon quickened his steps. He entered the busy Town Hall and waved to Bob and Doug, the two guards who were constantly on post at the stairs leading down to the prison. They waved him through. Apparently they were used to these unannounced visits to the jail by the various members of the Moonhowlers. Pelor knows we put enough of its current residents down there in the first place. Braedon reached the landing of the third level of the prison and quickly signed in at the log book right inside the doorway. A bored guard smiled at him from behind his desk and ushered the priest in. The prison level was dimly lit and smelled of urine and other things of a foul nature. The cells were five-foot on a side and covered with an iron grate. They stood in long rows away from the walls of the stone-block room, the walls of each cell consisted of rows of thick metal bars. A grated and locked door allowed entry to each tiny cell. The only furnishings within each was a small cot and a chamber pot. The cells were full of people . . . and some things that were not people. Figures moaned and reached dirty arms and appendages through the bars at him as he made his way down one of the rows. At last he reached the cell that Triel was in and he saw her, sitting demurely upon her cot. She looked up at him as he approached. So, to punish her for her brashness, Braedon spent the next hour and a half lecturing her on the tenets of Pelor, god of the sun. By the end of the session, Triel looked like she was about to chew off her own arm in order to club the priest over his head with it. Braedon just smiled and wished her a merry stay. He figured that if she actually could escape the bars, she would have done it by now. As further proof, his sermon was more than any god-fearing Hextorite could possibly stand. If she had the means of escape at her disposal, she certainly would have done so during this speech. Braedon was about to leave the prison and was headed back down the row from which he had come, but then another sudden thought struck him. He remembered long ago exploring the depths of the prison with his Moonhowler companions and discovering that the lower and unused levels of the complex were flooded with water. He wondered just what effect the flood had had on the place, so he turned around and walked to the far end of the third floor of the prison where he found another set of stairs leading down. Instantly a rich, warm yellow glow burst out from Braedon’s left hand, fully illuminating the stairwell and sending dark shadows ascurry. He climbed down the stone stairwell for quite some distance. Level after level passed him by. He looked briefly inside each one before heading further down. The level just below Triels, the fourth level, was completely dark and empty. The cells stood quietly in the darkness like ever vigilant sentinels under the earth. The same was true for the fifth and sixth levels, too. But then when he got to the seventh underground prison level, he smelled the musty stench of rot and murky dankness. As he progressed downward, the walls and steps got increasingly damp and smelly until he reached the fourteenth level and found it completely underwater. He shrugged to himself and made the long climb back up to the surface. He was satisfied there weren’t any fig monsters down there. Listens To Wind got a late start on the morning. He was still finding city life to be strange in many ways and had been wishing for a day where he could find out more about a mystery that had been bugging him for quite some time. For Listens To Wind, life in the jungle was often harsh. The Suel tribes of the Sasserine Peninsula survived, and even thrived, in conditions that these delicate Cauldronites would find impossible. The tribes lived without fifty-foot high walls of basalt to protect them. They faced wild animals, fierce storms and the threat from rival tribes on a daily basis. Old men in a Sasserine Suel tribe were considered early middle aged here in Cauldron. Life was often short. Such danger and instability only reinforced the bond that existed among tribe members and the distinction between blood family and tribal family was really just a mater of semantics. That’s why LTW found it shocking that a place like the Lantern Street Orphanage could even exist. In a Suel tribe, children were left without parents regularly, and when that happened those children moved in with their next of kin. And when no next of kin lived in the tribe, they moved in with the neighbors. Because in a Suel tribe, everyone is your kin. In a Suel tribe you look after your own. There were no exceptions to this rule. LTW could not wrap his head around the concept of an institution, like the orphanage, taking care of parentless children. It just did not make sense to him. Listens had learned I had grown up at the Lantern Street Orphanage after my parents both disappeared mysteriously. He had also learned about Braeden’s misfortune, growing up basically on the streets of Cauldron until the Church of Pelor found him. He had asked both of us many questions about our childhood and he could still not understand it. So, today LTW put some extra silver coins in his pocket and then paid a visit to the Cauldron Confectionery, the city’s famous purveyor of all things sweet to eat. There he bought several small bags of taffy, hard candy and chewy caramels before walking the rest of the way across town to the Lantern Street Orphanage. LTW wanted to know more about this place where children were kept. He wanted to know how it worked and if these children were happy. He also thought he might make a difference by contributing in a small way. The pale Suel ranger was met at the door by Gretchyn, the diminutive headmistress. She took his bags of candy and promised to hand them out sparingly as the occasion called for it, and she thanked him profusely for his donation. But when he asked her if he could take the children on a field trip, of sorts, to the newly established gnomish enclave of Jzadirune, Gretchyn quickly turned suspicious and cold. She asked him why he would want to do such a thing, and when he answered that he just wanted to help out, she curtly told him that the gesture was unnecessary and, thanking him kindly, she wished him a good day and promptly shut the door, leaving the hulking ranger alone on the front stoop. More than a little frustrated, Listens to Wind wandered the streets of Cauldron, lost in thought. Eventually he found himself outside the towering university, the Bluecrater Academy. He knew his friend Kenric was inside and suddenly felt the need to just be around his companions again. He was met at the front doors of the Academy by a low-level scholar or scribe and was left there while Kenric was fetched. Kenric was a little surprised to see the barbaric tribesman and was even more surprised to find out that LTW wanted to visit. Kenric told him that he was pretty busy today doing some research in the Library of Universality, but LTW asked if he could join him. Kenric just shrugged. “Sure,” he said, smiling at the thought of the big brute stuck in the quiet library all day. LTW spent the whole afternoon at the Library of Universality within the Bluecrater Academy, lost in thought and lost in the seemingly endless rows of shelves holding dusty books and manuscripts. Listens learned many things today. He found several manuscripts that listed family names in the Sasserine area. Terrem’s family, the Khaterys family, apparently had arrived on the peninsula with some of the first Keolish settlers some seven centuries past. While Terrem’s earliest ancestors seemed to be mercenaries that served in several armies that fought for control of the region, his more recent relatives were often listed as grocers, selling foodstuffs at markets in Sasserine, Thexlan and, most recently, in Cauldron. He discovered that Terrem’s mother came from the pirate town of Thexlan and that both of his parents had died in Cauldron on Frostday 22, CY 581 from the plague known as the Red Death. After an hour or so of finding nothing new about Terrem’s family, LTW then turned to studying the copious number of books detailing the life of Surabar Spellmason. The stories of the Spellmason family and their exploits were often entertaining and LTW read them with great glee. LTW grew up learning to read and he devoured every page of the few books that tribal members happened to acquire. He never dreamed so many books had ever been written and it was exhilarating for him to be able to lounge among the stacks like he was doing. The hours passed and the day grew long before he finally put the books to rest. My day? Oh, so you want to know how my day went? Well, it is my diary, afterall. I kind of think everything I write should be about my day, but then it might be a bit boring if it was just about me. I woke up at my regular time but today I did something kind of out of the ordinary by calling a breakfast meeting with all of the residents of The Hold. Well, the Creepers were invited but they didn’t show. At least…I don’t think they showed. It’s sometimes hard to tell. Both dwarven apprentice families were there and so was Yathaub. During breakfast I asked them all about the rumors of a threat of a drow attack that seemed to be swirling around the Cauldron areas as of late. Later in the meal I turn the conversation over to the topic of the upcoming meeting with the representatives from Duvek’s Mine. The apprentice wives told me that Clan Duvek was the chief noble clan at the time of the Schism, some 350 years ago. The nobles, which were called ‘bannerbarns’ in the old tongue, and their followers, had followed the Duvek’s into the jungle and away from the priests of Moradin, who opposed them. Eventually they had found a vein of iron and followed it deep into the earth. Today, the mine is vast and serves as a Clanhold for that line of dwarves. The Duvek line had died out some years past and a wealthy dwarven family, the Gutharn’s, had taken over as clan leaders. Their leader, Aldrick Gutharn, does a lot of business in Cauldron and even maintains a warehouse in town. I looked studiously at the bowl of thick porridge before me. After a while of not eating and just playing with my food I looked up and caught the two apprentices and their wives looking at me. “What?” I asked, maybe even yelled a bit. I wasn’t sure what their collective problems were, but I’ve got a right to my personal thoughts and if I want to play with my food instead of eat it, well…I’ve got the right. Right? My mind went blank. They want to live here? With me? “I’ll talk with ”/campaigns/moscowscap/characters/9378" class=“wiki-content-link”>Gurnezarn." I heard myself say. The dwarves smiled at one another and then returned to their bowls of hot cereal. Well. I had a lot to do today if these long-lost dwarves were coming for a visit tomorrow. I asked the dwarves and their wives to help tidy up the place and then I excused myself from the table. I took the large wooden elevator up one level to the gnomish enclave of Jzadirune, but not before saluting smartly to Terraphax, the Hold’s stalwart defender who guards against unlawful gnomish intrusion. I then navigated the tidy hallways of Jzadirune, dodging running and playing gnomish children until I found the enclave’s leader, Lord Belterton Hamstock. He was busy in the Cathedral of Garl Glittergold directing a small group of burly gnomes as they were moving a large loom into a workroom. The little guy smiled and nodded but then added, “Well, let’s not stand around here. Please, come follow me.” and the master of Jzadirune hurried out of the Cathedral and down one of the main hallways. It is so strange to wander these halls nowadays. It was not too long ago when Kenric, Braeden, Gerran and I were exploring these halls as dark and dangerous ruins filled with murderous traps and scary monsters. Now the halls are bright and cheery, filled with bustling gnomes. Magic is everywhere in Jzadirune. Brightly painted murals on the walls seem to move with life, gentle breezes and the sounds of insects and flowing streams can be heard wherever you roam. It is all magic, of course, but the effect seems real enough. Belterton led me to the room I remember as the gnomish throne room where during our exploration we saw what we believed to be the ghostly vestiges of the last gnomish king before he faded away. haphazardly. The throne room was now Belterton’s office. The cheerful gnome spun around. “How do you like my new office?” he asks with unbridled glee. He looked slightly ruffled. Not sure why. Belterton perked up. He likes “occasions” and the special ones were even better. “There are some visitors from out of town, dignitaries, I guess you call them. Belterton was nearly bursting with excitement. Hamstock prided himself as being the new Jzadirune Ambassador to Cauldron, a job he took very seriously. Apparently he was thinking he could also potentially serve as Ambassador to The Malachite Hold. I thought about it. But, then decided I didn’t want to burst his bubble. He was just too cute, jumping up and down like a little kid, excitement brimming over to the extent I thought he was going to pee his lederhosen. I left Hamstock and headed up to Caudron where I found one of those street-urchin messenger kids and sent word to Kraghammer that we were on for a dinner date tonight, at The Hold. And I was cooking. Eventually I found myself outside Splintershield Hall. The palacial wooden long-hall that served as home-base for my patron, Davked Splintershield. It had been awhile since I had seen the old man. The last few times I had stopped by he wasn’t interested in visitors. I didn’t know the old guy very well, but part of me wanted him and I to get along. For a moment, just a moment, I felt a family connection with that ancient dwarf. But now? Well, now I’m not so sure. I was met at the front gates that led into the Hall’s main yard by two dwarven guards. I asked to speak with Davked, and one of the guards scurried off while the other stood silently, putting on as if I weren’t even there. After a few minutes the guard came back with a younger looking dwarf. Steward of Splintershield Hall, Harbard Dulbeck, Heat-Keep Weapons-Cradle, in the old tongue. I didn’t get the impression Master Dulbeck was asking a question, so I let him lead the way. We ended up in the Great Hall. The place was all clean and opulent . . . and dark. There was also an odor about the place. A hint of something sour lingered under the smell of wood and stone. He led us to a small side room and then lit a lantern. He was creepy. The steward had dark rings under his eyes and his hair was long and stringy. He sat down on a small wooden bench and then motioned for me to join him. “What’s wrong with Splintershield?” I bluntly asked. Dulbeck looked a little perturbed at my casual address, but then he put on that fake smile of his again. That was about all I was going to get out of the little oily dude, so I switched topics and asked about the dwarves of Duvek’s Mine. “Trai…” I started to say, but the Steward interrupted me. I just stared at him, a mixture of perplexity, curiosity and murder filled my inner being. He stared back at me a moment longer, condescension dripped from him like wax from a candle and then he continued. “We dwarves were the first Cauldronites. It was almost seven centuries ago when the armies of Surabar Spellmason fought the demon hoards at what is now the town of Redgorge and our ancestors played a major role in those battles. Not only did the dwarves of Keoland serve as front-line defenders against the demons but they also played a critical role as tacticians and engineers. The Steward gave me a withering look. I dutifully kept my trap shut for the next few minutes as he prattled on. “The defenses there at Redgorge were good, but there were many in that company who knew gaining higher ground could make the difference in the war. It was a dwarven engineer, ”/campaigns/moscowscap/characters/9515" class=“wiki-content-link”>Dromlin Mortarsblud, who discovered Cauldron and hatched the idea to use its dormant caldera as a new base of operations against Nabthatoron. “Mortarsblud and his corp of engineers teamed up with several gnomes in a show of cooperation that would go down in history as an example of architectural genius. Within a year the fortress of Cauldron was built and manned. The basalt and malachite walls proved unbreachable and eventually the demons were broken upon them. “After the war Cauldron grew from a fortress to a city. Most of the surviving soldiers stayed on in Cauldron and later brought their families to live here. Some settled into farming and plantation life, taking advantage of the fertile lands revealed by the jungle-clearing effects of war, while others opened shops and businesses in town. “The dwarves continued to operate their original forgeworks, which eventually became the Malachite Hold. Our gnomish allies settled into their original workshops above the Hold and founded the conclave of Jzadirune. It was the gnomes who first elected a king, and then we dwarves followed suit and elected a clan chief. Dromlin was a first choice, but the old dwarf declined. Eventually, an elder dwarf by the name of Gimor Thurkane rose to take the title. He became known as Grandfather Gimor or Gimor of the Hold. Gimor’s daughter, Gori, took charge after his death and she ruled the Hold for two centuries. “Back in the early days, one immediate problem facing Cauldron were the large lava tubes that dotted the mountain. While the demons had been defeated, monsters of other sorts would occasionally wander up and out of those tunnels to attack the early Cauldronites. We dwarves naturally gravitated to the cause, gleefully exploring them with our gnome allies and fighting off any threats we found in them. “Most of the lava tubes and tunnels just fed into the heart of Cauldron and either eventually ended or were filled with water. While others apparently led much further into the depths: to the Underdark. “Dwarves and gnomes know that only evil lives that far down. Those of our early ancestors who dared venture into the Underdark either met their doom or went insane, so we were naturally wary of such passages. Sappers and engineers permanently collapsed the Underdark tunnels they found. “But there was one tunnel, the largest of all, that captured the imagination of our ancestors. That tunnel, Katrajunne, as it was named back then, is the tunnel just outside the Malachite Hold. While most of the dwarves of the Hold back then wanted to seal it, just like all of the others, rumors had sprouted from somewhere that the tunnel led to a lost and buried shrine of Moradin and many dwarves, including our chief, clung to the idea and pledged to keep the tunnel open. “While no one had actually seen this shrine, several dwarves also claimed the shrine was the resting place of the ancient Brutal Pick, one of five mysterious artifacts of Moradin. Where these rumors came from and who planted them remains a mystery, but it was enough to keep the tunnel open and the Hold became its guardian, protecting everyone above from whatever vile things it vomited up from below. “After the Chieftess Gori died in CY 153, the Hold’s leadership fell to her only son, Hergol. Hergol was a weak and ineffectual chief and his inabilities led to much strife in the Hold. The arguments were many and famously heated. The Priests of Moradin and the Keepers of the Shrine fell on one side of every argument and they were opposed by the Barns, of which Grunnun Duvek was the loudest. “This continued for about thirty years when suddenly Hergol died. Without any heirs the task of selecting a new chief began. One of the barns, a dwarf by the name of Marton Helmsmark, claimed rights to the throne as his sister-in-law was the great-great grand niece of the late chief’s late grand-uncle. The Moradin priests, however, felt this link was too thin and High Priest Delkin Boorsmal rallied the Church of Moradin to claim rulership over the Hold. In the end, the followers of Delkin removed the statue of Moradin from the Hold and took it out to the jungle somewhere. Eventually the priests found their way to Redgorge where most of their scions still live today. They can stay there for all I care. He didn’t bite my head off this time so I figured it would be okay to interrupt him with stupid questions again. “Well,” he continued, "not every dwarf left Cauldron back then. Several of us stayed on and tried out best to guard the gates to Katrajunne, but there were too few of us and our numbers dwindled further as we took a beating from a season of marauding derro that wandered up from the Underdark. “At one point we asked the gnomes of Jzadirune for help. They had just discovered how to build their pulverizer automatons and they lent us a couple to help man the bridge at the Hold. They worked perfectly. I smirked a bit at this. After getting to know Belterton Hamstock and the rest of the new Jzadirune gnomes, I could see how this could happen. The Steward looked puzzled at my sudden show of mirth, or annoyed. It was hard to tell with this one. My eyes widened at this revelation. “We have allies?” I asked stupidly. “It took us a number of years to pull off the stunt, but eventually we enlisted the help of ”/campaigns/moscowscap/characters/terraphax" class=“wiki-content-link”>Terraphax, the stone guardian. From that moment on, anyone entering the Hold from above had to pass by the elemental. The gnomes were a little bit frightened by his presence, so it wasn’t long before the gnomes became scarce in the Hold. I thanked the Steward for his time and left Splintershield Hall with a lot to think about. A bit later on I found myself gravitating back to the Shrine of Pelor. I found a very excited Karina who filled me in on the details of the strange gifts she, Kenric, Breadon and LTW had received. I told her about the gift that was sent to me and was about to discuss any possible connections when we walked into the apse and found Kristof tending to a young girl who appeared to be asleep on one of the wooden pews. “And that’s the other thing I wanted to talk to you about,” a very excited Karina told me, clasping her hands in front of her and nearly jumping up and down with enthusiasm. “Uh, what am I looking at?” I asked, slightly befuddled. I was still a little confused. Karina pouted a bit and then answered my questions in order. “Father Jurgenson . . .” I noticed she emphasized his actual name, " . . . is helping her because I accidentally knocked her unconscious, which is also why she appears to be sleeping. She’s not really. Sleeping, that is. She’s actually unconscious because, well…I accidentally knocked her out…which I already said. And it’s amazing because I think she might be crazy!" Wow. Karina hadn’t been with us for very long, but sometimes I really have to wonder if she paid any attention at all in logic class. That is if they even teach logic where she came from. Karina pouted a little bit more. And then she looked sad. And then for some reason I felt bad. The way she looked at me made me feel like I had just scolded a real cute puppy. Huh. That kind of made sense. In a sick and perverted, mad-necromancer sort of way. I shook my head. I had forgotten about the St. Cuthbert Looney Bin. That actually wasn’t a bad idea. I moved in to get a closer look at Karina’s captured crazy assailant. The others looked up at me in surprise. “I don’t know.” she stammered. “Well, its time for us to find out,” I said and walked over to the Pelor holy water font. I grabbed the entire copper bowl of water and despite copious protesting from our resident priest, threw the entire bowl into Saraphina’s face. The whispy haired girl’s eye’s flew open wide and she jumped straight off the pew, spluttering and shaken. “Hey, hey hey! Stop that!” She shouted. I wasn’t mollified in the least. I stepped in and grabbed her around the collar and shook her slightly. I thought the girl’s eyes were going to rattle loose from her head and roll on the sanctified church floor. . . Pelor, please forgive. “Braenna! I … I … she…” Saraphina pointed at Karina, a wild look in her eyes and her dripping hair was plastered across her face. At least she recognized me, too. That way she knew who she was dealing with. “Speak!” I yelled at her. “But…she’s a demon,” she muttered meekly. I looked up at Karina, afraid of the hurt I was going to see there on her face. Karina just looked grim and then she shrugged. Hmm…maybe we’re toughening that kid up, afterall. I returned my attention to Saraphina, who was now shaking. With a sweep of my arm I scooped the skinny girl up and threw her over my shoulder. Saraphina shouted a bit at first, but by the time I had carried her halfway across town she gave up and quit her struggling. She hung limply like a rag doll on my shoulder, a sopping wet rag doll, that is. When we got to the Church of St. Cuthbert, my good friend Rufus met me at the doors. I explained the nature of my cargo and he ushered me through the building and out to the back lot, a place I had never been before. I sucked in a breath at the site. A large walled in yard filled with massive banyan trees lay before me. The canopy of leaves above filled the enclosure with a cool, green light. Wind chimes sounded off with a pleasant murmuring music and the scent of sweet tropical fruit filled the air. Three wood and glass egg-shaped structured sat perched among the tree trunks and low wooden steps led up from the ground to wide wooden decks that surrounded the structures. A few Cuthbertian acolytes strolled around the grounds and helped sorry looking souls dressed in loose sackcloth garments as they stumbled about looking lost or talking to the occasional bird. Rufus gently took my charge off my shoulders and led Saraphina toward one of the structures. The girl looked both awed and scared at the same time. Apparently she had never seen this place either. The result was good, though, because Rufus was able to get her up a set of steps and into one of the odd looking structures without a struggle. Karina had followed me across town and she suddenly hurried across the yard to catch up with the pair. I watched as she slipped in just as the doors to the glass building gently shut. I shook my head and gathered my senses, then stalked across the yard toward the building Karina had just disappeared into. When I got inside I found a quiet and cool interior. A long wooden desk barred my way further in and a stern looking cleric of St. Cuthbert sat behind it, looking at me. Sternly. Beyond the desk I could see rows of dark cubbies filled with cots. Most of them were filled with sleeping patients in sackcloth. Sweeping steps circled up to two fenced-in lofts above me which seemed to hold additional cubbies and cots. More green light filtered in through the windows as if covering the place in a subdued and peaceful blanket. I picked out Rufus, Saraphina and Karina in the shady confines of a cubby off to my left and started that way. The cleric behind the desk stood up as if to block my way. I gave her a stern look. I guess my stern trumped hers because she sat back down again. I smiled sweetly at her. At least I think it was sweetly. I couldn’t tell from the odd look the cleric gave me in return. When I reached Karina, they were just sitting Saraphina down on the cot. She was talking quietly to Rufus. Saraphina looked at Karina then and gulped. Karina knelt on the floor beside her cot and took Saraphina’s hands in hers. The skinny girl tried to pull away but Karina held fast and then smiled a truly sweet smile. How does she do that? Karina does sweet really well. Wow, Karina can really pour the sugar on when she wants. Saraphina looked into Karina’s eyes and for a moment there was a hardness there. Was it fear? Anger? Hurt? I don’t know. I’m not the best at reading people. But I just know I saw something very un-sweet there for a moment. And then it just kind of faded. Saraphina seemed to slump, then. Her body folded in on itself and Rufus helped her lay back down onto a fat down pillow. Karina still held her hand and hushed her soothingly. “You’ve taken a bit of a thumping, Saraphina, and I just want to make sure you’re perfectly okay before we take you back home. Okay?” Rufus said quietly to her. Saraphina nodded and closed her eyes. The girl nodded one more time and then lay still. I took Karina by the hand and led her out of the Cuthbert Sanatorium. As we headed up Magma Street on our way back to Pelor’s I shook my head. Karina giggled at me. Grrrr…I dislike giggling. Karina paused, and then finally spoke. McCreedy had been laying low. Since being fired by the city for…something, he didn’t remember and he didn’t care…he had found new employment with us, the Moonhowlers. The pay was good, but something was bugging Gramps and he couldn’t quite put his finger on it. McCreedy found himself wandering the city all day long. He didn’t care where he went as long as he didn’t have to be around any of the city guard. Oddly, he found that he didn’t want to be around his new friends, the Moonhowlers, either. And so he wandered from watering hole to watering hole, buying drinks as he went. Occasionally he would ask questions. One bartender at a seedy tavern told him some recent gossip: the famous group, the Stormblades, had just discovered a cave on a local pineapple plantation that housed a cult of fish-headed demons. Apparently the city council then hired the Stormblades to investigate the cult. The Stormblades sacked the cave and then found out the cult had been worshiping three evil gods and planned to take over the city. McCreedy sighed. It wasn’t worth the effort to correct the matter. Besides, he thought, this was just typical Cauldron politics and it would never change. Late in the afternoon Gramps was struck by an odd notion. He couldn’t really say why he wanted to do what he suddenly wanted to do. But, he did it anyway. McCreedy found himself standing outside the Town Hall. He nodded at the two guards outside the front doors as he went inside. He was, afterall, a local citizen and had every right to enter the public building. But when he tried to head downstairs to the prison complex, he was stopped by two more guards. He thought he recognized them. Slackers, if he recalled. One of them was named Bob, he was sure. “We can’t let you through, McCreedy,” the other one said. McCreedy squinted into his face but could just not come up with his name. It was a weird name, anyway. “Oh. I DO have permission,” McCreedy said with a smile and proceeded to walk down the stairs. The two guards crossed their short spears in front of him in unison, forming a nice “X” in order to bar his way. “Written permission, I’m afraid,” said Bob. McCreedy was getting mad. He stormed out of Town Hall and marched over to the garrison which was conveniently located just down the street from the Town Hall. He got even more steamed when two guards at the gate to the town barracks wouldn’t even let him into the practice yard. “Only official Cauldron Guard are allowed inside, now,” a gruff half-orc in Cauldron livery barked at him. “Yeah. New policy,” said the other gruff looking half-orc. McCreedy did not know either one of them and they looked pretty tough. He nodded at them and retreated up the street. Madder than ever. New policy! Bah! A few minutes later found him inside his own apartments. He drew a piece of fresh parchment, inkpot and quill from his oak desk to the window where the light was better. There were a couple of things he had learned very, very well during his service in the Cauldron Guard. One of them was exactly what an official writ looked like. He had both delivered and examined hundreds (if not thousands) during his tenure. And another was how to forge them. Teerson Skellerang’s signature was something he prided himself in his ability to duplicate. A few minutes later McCreedy was plunking down the stairs of the Cauldron prison complex. Bob and Doug, (that was his name!) had cheerfully waved him by after reading the official writ from the Captain of the Guard, allowing him access to the prisoners below. “I want to speak with Jigsaw Face Jil,” he proclaimed to the door guard at the bottom of the stairs. For emphasis he plunked the forged document on the crude wooden table before him. The guard led the way through rows of barred cages. McCreedy was shocked at how full the prison complex was. In fact, he thought as he looked around the large open space, every cell down here was completely full! He spied goblins, baboons, kobolds and even a woman who screamed wildly at them as they passed. And then there was Jil. Her face paint was long gone, but McCreedy didn’t need the black and white markings to know it was her. She was sitting in her cell, quite calmly. “What happened that night when you met the Moonhowlers?” McCreedy asked as soon as the door guard had left to go back to his post. Jil looked up at him and smiled. She waited quite some time, studying him. Like a cat eying a mouse, I imagined. “Well. It didn’t work out quite as I had planned.” she said, simply. “Yeah, yeah. That’s what I mean. What was your plan?” McCreedy pried. “Still doesn’t explain why I should tell you anything,” she said bluntly. “I’m not a guard anymore,” McCreedy replied. Jil looked astounded. And then she laughed. Cruelly. Jil suddenly stopped laughing. She stood up and sauntered over to the bars and grabbed one in each hand. She grinned at McCreedy and swung idly from side to side. “Ooooh, I suppose they do, now,” she cooed. "Things change. They always do. McCreedy looked at her and then shrugged. Jil smiled and then told him all about the night she and two of the local guards had dressed up as Last Laugh agents and then ambushed Rufus Larro, the St. Cuthbert acolyte. McCreedy studied her for a moment. Jil had always been trouble. She had parents but they had their own problems. The poor girl had grown up fast on the streets of Cauldron. He had busted her when she was twelve for robbing a bakery. Later, he had busted her again when she was fourteen. That time a patrol of city guard had taken down a group of Alleybashers, the local theives guild at the time, while they were attempting to beat protection money out of a poor street vendor named Beppo. McCreedy wasn’t sure if Jil was with the Alleybashers, but since she was standing next to Beppo when the bust went down he decided to scoop her up in the arrest just to be safe. The judge put her in jail just based on her prior record. She was only in jail for a few days, and he had hoped she had finally learned her lesson. “What did you think of the Moonhowlers?” he finally asked her. She grinned even more and then arched her back so far while holding onto the bars that her hair swept back and forth along the floor of her cell. Then she suddenly pulled herself upright. She thrust her face toward Gramps and began to grind her hips against the bars. She licked her lips and then spoke softly. “One of them. Gerran. I thought at the time that he could be…useful,” she closed her eyes and swayed even more against the bars. “You?” she stopped swaying and studied him up and down, everywhere but his eyes. “I don’t trust you,” she said. Gramps leaned in a bit until his body was very near hers, only the breadth of the bars separated them. “I can assure you that I have…reformed…from my law-abiding ways,” he whispered. A wild look lit up her eyes, then. “What do you have in mind?” McCreedy asked. “The Lord Mayor,” she said. “He lives all alone in that nasty fortress of a manor. Navalant Manor, I think they call it, right?” she purred as she ran a slim finger up and down McCreedy’s chest. “Rumor has it,” she continued, “that our good Mayor has a cup. He takes it with him whenever he goes hunting. A hunting cup!” she giggled. McCreedy just nodded. Jil ran her finger along his lips. “He keeps it in his bedroom, of all places, when he’s not …out….hunting,” she said while looking him straight in the eyes. They were so close McCreedy could feel her breath on his face. “I want it,” she said. McCreedy nodded, and then slowly backed away from her. A dark shadow passed over him as he left the prison complex. Move over Gerran. There’s a new slickster in town. P.S. Diary, yes, I did have a wonderful dinner with Kraghammer. And that’s all I’m sayin’.